INDUSTRY.co.id - Jakarta, Indonesian Tobacco Farmers Association (APTI) is optimistic that tobacco prices this year will grow by 20% compared to 2016 due to good weather conditions. APTI Chairman Abdus Setiawan said, compared to last year, climatic conditions in the centers of normal tobacco production. "Rainfall in this year's crew has begun to decrease, so farmers start to plant," said Abdus, Wednesday (17/05/2017). 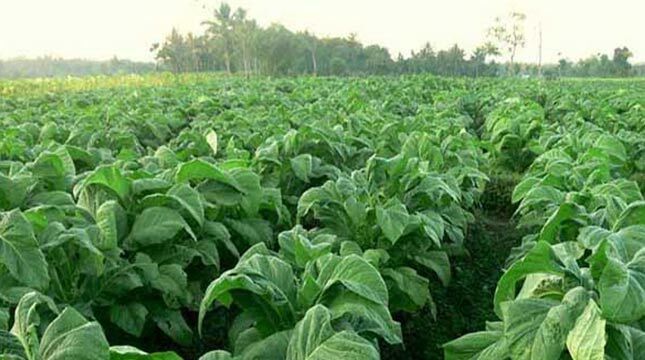 With the low rainfall, the quality of tobacco plants becomes better. Low water levels make the disruption to plant pests is reduced. The better the weather conditions make the production cost of tobacco plant more awake. As is known, the price of tobacco in the past year is quite diverse, depending on the location and type. But the average is around Rp 25,000 per kilogram (kg) -Rp 100,000 per kg. This year, tobacco production is expected to increase significantly. If last year national tobacco production around 100,000 tons, this year will reach 180,000 tons-200,000 tons. Tobacco needs for the domestic cigarette industry this year is around 300,000 tons. The amount is equivalent to 360 billion cigarettes. Lack of local tobacco raw materials, making tobacco imports this year will still happen. According to data from the Central Bureau of Statistics (BPS) in 2015 the area of ​​tobacco was recorded 209,200 hectares (ha). The land area has decreased when compared to the year 2011 which is 225,900 ha.